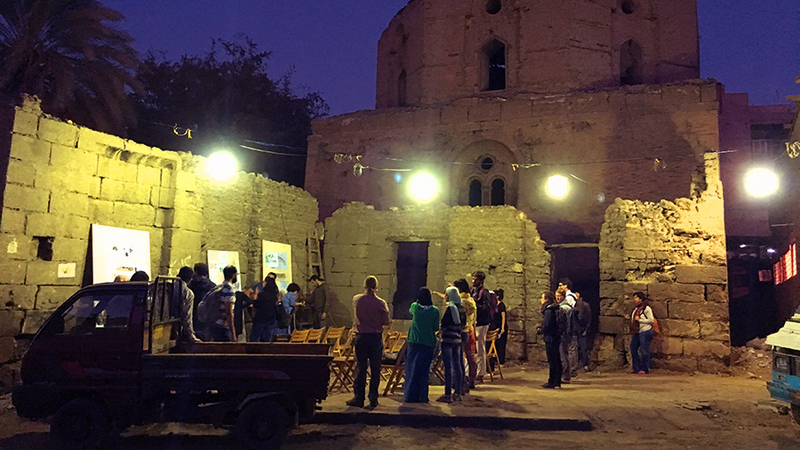 Egypt’s sweltering heat and vast deserts might not seem conducive to constructing a park filled with trees, but UO architecture and environmental studies professor Brook Muller is looking to change that. The planned greenspace will go in the al-Khalifa neighborhood of Cairo, where air quality is so bad some have compared it to smoking a pack of cigarettes a day. It will have seating areas, semiprivate spaces for women’s sports, a playground, an educational gardening area and a heritage center honoring the history of the area. The project and Muller’s efforts to make it happen were outlined in a recent issue of Portland Monthly. Muller and the rest of the planning team developed a system to treat groundwater — including the water from leaky underground pipes — using filters and planter basins. It will not only irrigate the park but also help reduce al-Khalifa’s flooding problem. If the plans get approval from the city, construction could be finished in three to five years for around $500,000. For more, see “An Oregon Professor Sets Out to Build a Park in Cairo” in Portland Monthly. Muller, who is the director for the graduate certificate program in ecological design within the College of Design, teaches design studio as well as architectural theory, urban ecological design and sustainability. His work examines synergies between ecological processes and urban development, considering relationships between architects’ initial concepts and the environmental responsiveness of what is built.